A personal highlight of the recent FestABLE were the inspirational stories of young people and their families. Gareth D Morewood shares a few shining examples. 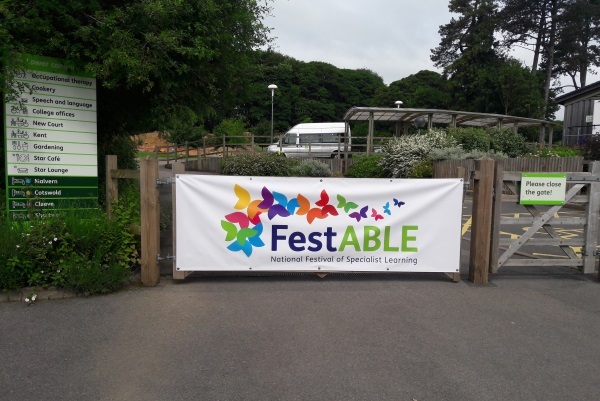 Last Saturday I was fortunate to have been asked to attend the inaugural FestABLE event at National Star College in Cheltenham. The event was a bustling campus of fun, excitement and serious debate. Never has there been such a vivid celebration of the amazing work parents, carers, professionals and young people can achieve. It was truly inspirational. As I was only ‘working’ by chairing one of the debates in the afternoon, I was in the fortunate position of being able to attend some of the other sessions and listen to some of the powerful stories that were shared over the course of the day. Issues around policy and provision, while important, have been the focal point at the many conferences I’ve attended and spoken at previously, so I decided to attend the sessions that put the spotlight on truly inspirational families and amazing young people. These are their stories. 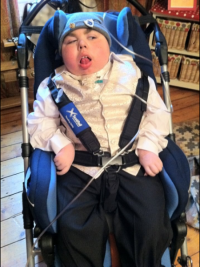 Adam Bojelian was a young man from Edinburgh who was blind and had cerebral palsy. He gained global attention for his poems, published online, which he wrote by blinking. In 2015, Adam’s mother, Zoe, announced that her 15-year-old son had passed away by posting a photo on Twitter with the hashtag #braveadam. In response, hundreds of people posted tributes on Adam's Twitter page to celebrate his amazing poetry, which captured the essence of the topics he was asked to write about or sought inspiration from life events. Adam has previously won a Brit Writers' Award and a Blue Peter gold badge for his poetry, which he wrote using special computer software. I was able to hear Zoe, Paul and Charlie dog (Adam’s dog) tell Adam’s story, punctuated powerfully with some of his most inspirational verses. There were so many things that struck me in the session, but one that really stood out was how Charlie Dog knew when Adam was unwell. By lying over his legs, he was able to indicate something was wrong. The family bond was amazing, but Charlie Dog’s connection with Adam was empowering. Adam is an important reminder to us all that young people should be recognised by their amazing abilities, not defined by disability. While he is no long able to share with us the wonders of his life and articulate his fantastic ideas through new poems, everyone should take the time to read his significant body of work. Also, do take a few minutes to watch a short film on why Adam’s dog Charlie (together with Zoe, Paul and a team of dedicated NHS staff who knew and loved Adam) climbed three mountains in Wales for the UK Sepsis Trust. One poem that stood out for me in particular is Adam’s Coming Out of the Ghettos, a poem he wrote in 2010 after attending an event about disabled children’s rights. We'll set the world ablaze. Another inspiration for me at FestABLE was Charlie Beswick, mum to 12-year-old twins Oliver and Harry. Charlie was unaware of and unprepared for Harry’s diagnosis at birth of a rare cranio facial condition called Goldenhar Syndrome. 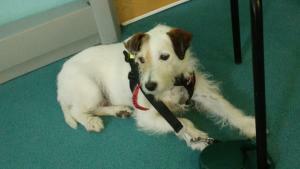 Harry is also non-verbal, autistic and has significant learning difficulties. Charlie wrote her book Our Altered Life for parents and carers who may feel overwhelmed at the start of their journey. The book has been endorsed by the Children’s Craniofacial Association of America as a fantastic resource. She also blogs at ‘Our Altered Life’ where she promotes education, awareness and the power of a good sense of humour (something I can very much relate to)! What really struck me is the power of the positive, Charlie’s journey hasn’t been easy, but allowing true insight into their challenges is a unique opportunity that every SENCO and school leader should take and read. Every day I learn more and more. FestABLE was, and continues to be one of the steepest learning curves of my life! 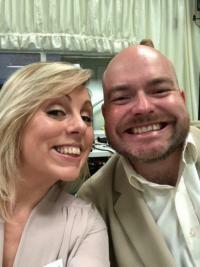 I had been in touch with Elly prior to the event, and we met up the evening before, which was hugely uplifting. Elly’s story of hope, persistence and tenacity, firmly rooted in authenticity despite overwhelming odds is something that is simply incredible. 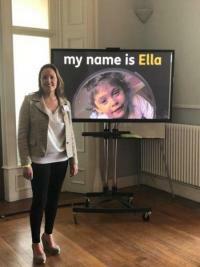 Elly coined the strap line: ‘It is a firm huge hello to “can do” and a goodbye to “can’t”’, and this is so true, simply chatting away with Elly the power of the positive exuded from her story. The inspiration behind this story is her daughter Ella, hence the wonderful logo which embodies her award-winning smile, her gusto for life and her gorgeous charismatic personality. Elly’s daughter reminds us all to recognise our children as a beacon of light and hope with much to teach the world if we stop to listen and learn. For me, this captured the spirit of FestABLE. Elly’s talk was the first session I attended and was truly exhilarating. It was about the journey they have been on for 11 years now and the one on which they continue to travel. She articulated the highs and lows – how life turned on its head so many times – and yet manages to frame her experiences through wisdom, strength, belief and knowledge. Elly’s copeability blog features advice we should all heed, particular as professionals working with families. The theme of participation became clear in the session I later chaired, particularly when one member of the audience asked an important question of the panel. As I reflect on the amazing @FestableUK yesterday; I am struck by the mother who asked a question from the audience in the session I chaired. Fighting for her child became a full-time job, so she had to give up work to fight. These sessions and discussions are a good reminder of why co-production is so powerful and what we can learn from the strong basis of research into SEND. I am also now even more humbled and acutely aware of how as a SENCO I can make such a positive difference for young people and their families. Each of the stories described above demonstrate a significant challenge or personal struggle, but so too does each reflect the power working in partnership and the potential for greatness everyone has, whatever their start in life. I’ll finish with some powerful words from Elly. ‘Pain is real, but so is hope’. If we don’t have hope, and we don’t believe, who will?